WHAT IS A MENORCA WEBCAM OR MINORCA WEB CAM? Menorca webcam or Menorca web cam as it is also known, is a digital camera directly connected and linked up to the Internet. Some people also refer to these web camera as web cam or cams. Menorca (also known as Minorca) is the second biggest Spanish island in the group known as the Balearic Islands, these also include Formentera, Ibiza and Majorca (Mallorca). Families come here for a relaxing holiday, the beaches are quiet and mostly white sand. This pretty island also has some lovely bays and coves. The two biggest towns of Mahon (Mao) and Ciudadela (Ciutadella) both have natural harbours with old towns where narrow windy streets open out into squares with historic buildings. Seafood such as the island’s main dish. Caldereta de Llagosta, a tasty lobster stew, is a must. Wash it down with the locally distilled Gin Xoriguer. Although there are some historical sites, most people visit Menorca because of the sandy beaches and wonderful climate. Some Menorca webcams transmit live up-to-date streaming images of Menorca and other Menorca webcam show views and images of Menorca from earlier on in the day. Menorca webcam showing the view (see below) towards the nature reserve La Vall and Sa Punta Roja east of Cala Morell. Port of Maó – Webcam located at Naval Station Port Mahon. Views of the city of Maó (Mahon). Monte Toro – Webcam located on top of Monte Toro, Es Mercadal. Views of the bay of Fornells and the north coast of Menorca. Son Bou – Webcam located in the Hotel Sol Milanos-Pingüinos in Son Bou, Alaior. Views of the beach of Son Bou. Sant Tomàs – Webcam located in the Hotel Sol Menorca in Santo Tomas, Es Migjorn Gran. Views from the beaches of Sant Adeodat and Sant Tomàs. Cala en Bosc – Webcam located in the Hotel Cala en Bosch, Ciutadella. Views of the marina and the beach of Cala en Bosc. Arenal d’en Castell – Webcam located in the Hotel Aguamarina in s’Arenal d’en Castell, Es Mercadal. Views the beach of s’Arenal d’en Castell. Fornells – Webcam located in the Inn-Restaurant s’Algaret in Fornells. Views of the Bay of Fornells, Es Mercadal. Ciutadella – Webcam located in the city of Ciutadella de Menorca (Ciudadela). Views of Plaça des Born. Cala Galdana – Webcam located in the Hotel Sol Gavilanes in Cala Galdana. Views of the beach of Cala Galdana, Ferries go to Ciutadella. Es Castell – Webcam located in the Hotel Rey Carlos III in Es Castell. Views of Isla del Rey, Port of Maó and la Mola. 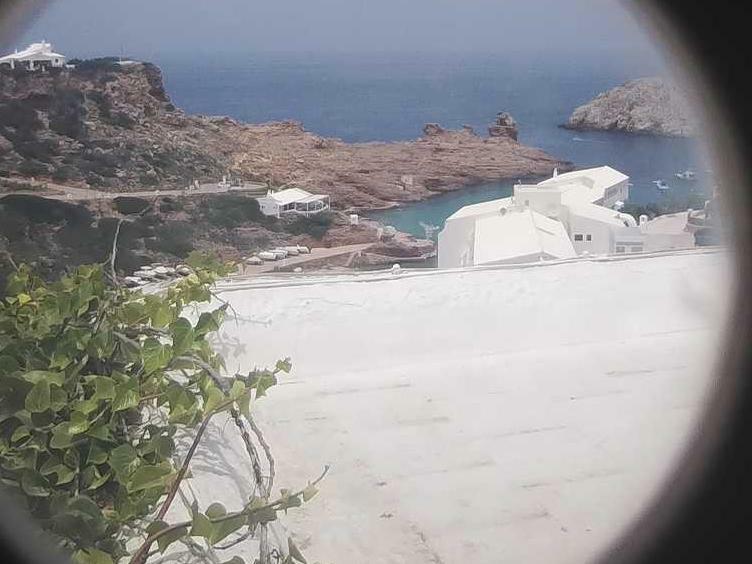 Cala Mesquida – Webcam is located in the restaurant Es Cap Roig, Mahon. View of the beach of Sa Mesquida. If you know of any other Menorca WebCams that are not listed here please help us by suggesting any Menorca webcams that you know of in order to continue to build our comprehensive list of webcams in Menorca. If you are interested in webcam Menorca and web cam of Minorca towns and cities then we expect you may be interested in our many other pages devoted to information on Menorca such as Menorca tourist information. As well as our webcams showing pictures and images of Menorca we also have a video below showing the most famous sights, best attractions and notable landmarks in Menorca (Minorca). Menorca Webcams – Page Summary – This page contains links to webcams on the Spanish Balearic island of Menorca as well as videos of Menorca. We show you Menorca webcams so you can see what Menorca looks like before you go on holiday or vacation there.